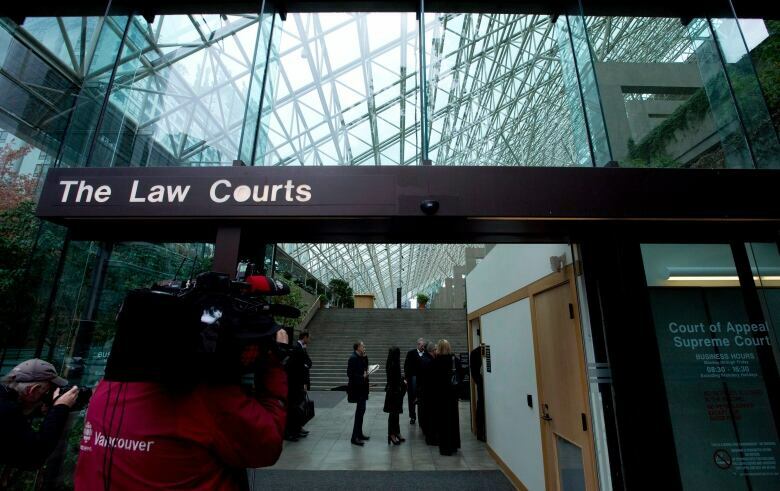 Two more ex-Mounties plead guilty in B.C. Supreme Court in connection with the Surrey Six murder investigation. Three men have been sentenced after pleading guilty to misconduct related to their time as RCMP officers on the investigation into B.C. 's largest gang-related mass murder. Former Staff. Sgt. David Attew and suspended Cpl. Danny Michaud were sentenced to house arrest after pleading guilty in B.C. Supreme Court on Tuesday. 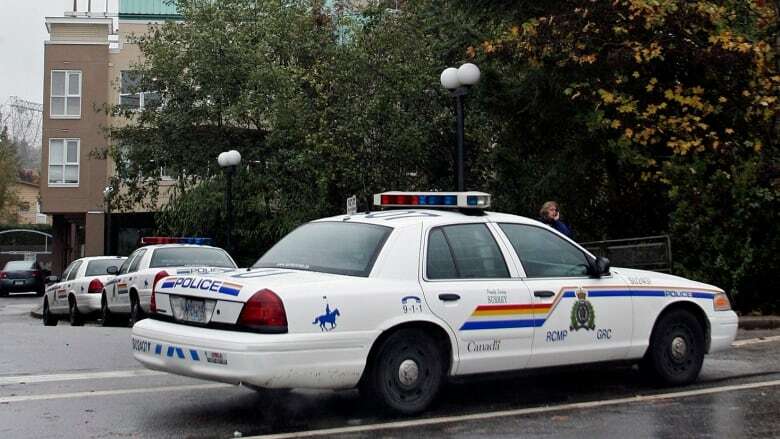 Both men admitted to failing to maintain law and order in the province, contrary to the RCMP Act, during the so-called Surrey Six case. The RCMP Act is a legal framework that defines how discipline is handed down to officers. An offence under the act is punishable by less-serious summary conviction, rather than a criminal conviction. 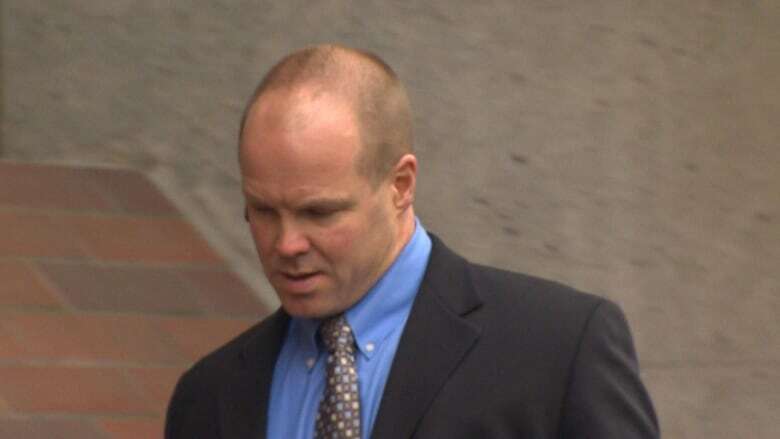 A third officer, Derek Brassington, pleaded guilty to criminal charges nearly two weeks ago. He was also sentenced to house arrest. The execution-style Surrey Six shooting left six men dead on the 15th floor of the Balmoral Tower on Oct. 19, 2007, in Surrey, B.C. Attew and Michaud had separate hearings Tuesday, but both sat equally motionless in dark suits. Justice Arne Silverman sentenced Attew, 50, to six months' house arrest under 14 conditions, including a curfew. Michaud was handed three months' house arrest under a similar number of conditions. Brassington was given a conditional sentence of two years less a day to be served in the community after he pleaded guilty to breach of trust and obstruction of justice by compromising the safety and integrity of a witness. Details of and evidence around the misconduct in all three cases are protected by an extensive publication ban. Attew retired from the force after being charged in 2011. Brassington was discharged in 2013 for a matter unrelated to the Surrey Six investigation. Michaud has been suspended for the past nine years. Four of the men killed in the mass shooting were suspected gangsters. The other two — Ed Schellenberg and Christopher Mohan — were innocent men in the wrong place at the wrong time. Schellenberg was in the building to repair a fireplace. Mohan lived on the same floor where the shootings happened. Mohan's mother, Eileen Mohan, was in court to hear Attew and Michaud enter their pleas Tuesday. "It gives me some sort of a hope that, finally, they are realizing all the pain and harm that has been caused by their actions on innocent family lives," she said. "I have to accept [the sentences] with a heavy heart, but I'm grateful that some sort of a sentence has been given and some sort of recognition of misconduct." For years, Mohan said she feared the officers' behaviour would jeopardize the investigation into her 22-year-old son's death. "There was a lot of anxiety and rumours that it would interfere with justice for Christopher, but I was so glad the RCMP/IHIT team's case was strong enough to see some really good victories," she said. Six men were charged in connection with the shootings. Cody Haevischer and Matthew Johnston were convicted of six counts of first-degree murder and one count of conspiracy to commit murder in 2014. They were sentenced to life and have since filed appeals, which are ongoing. A person whose identity is protected by a publication ban pleaded guilty to three counts of second-degree murder in 2009. He was sentenced to life in prison with no chance of parole for 15 years. Michael Le pleaded guilty to conspiracy to commit murder in 2013 and has served out his prison sentence. Sophon Sek — who helped the killers get into the building and pleaded guilty to break and enter — was sentenced to a one-year prison term in 2015. Mommy's helper: Is drinking a problem for parents?